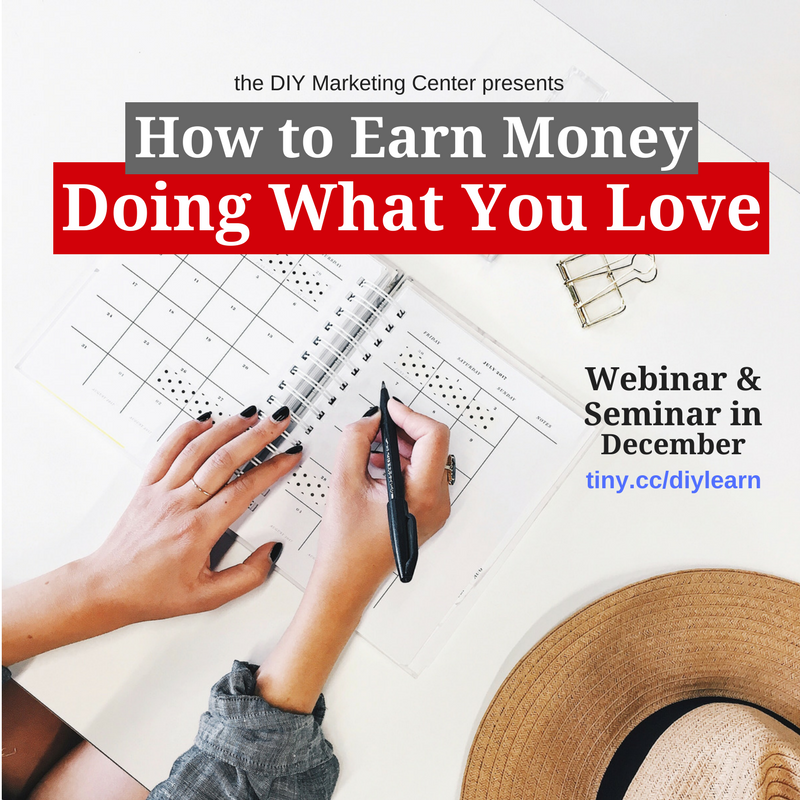 New Webinar & Seminar This Week! Are you ready to add new revenue streams to your business? There are at least five ways to earn money sharing what you know. And if you're not using them all, you may be leaving money on the table. Or worse: You may be depriving your hungry market of what they want and need! Let's talk about which revenue models will work best for you and your strengths. Choose the Wednesday webinar, or the Friday seminar. I will be at both. How about you? Let's earn some money, friends! Your last chance to connect in real time and space with your DIY tribe is this Friday Mastermind meeting. Join me and the gang from 9:30-11:30 AM in Vancouver to wind up the year! 1. Opening exercise. [Up to 30 minutes] Members will introduce another member at the meeting--with a haiku! 2. Peek behind the curtain. [Up to 20 minutes] A quick tutorial on one of my favorite creativity/thinking tools, the bubble chart. 3. Masterminding or laser coaching. [Up to 45 minutes] Get feedback, ideas, guidance on a project or question. 4. Prizes & photo. [Up to 5 minutes] Yep! We love prizes.